Vision Insurance Group, LLC provides risk management and insurance brokerage services in the United States. It helps medium and large businesses to access liability, professional liability, property, workers compensation, and specialty insurance products. The company also provides risk identification, analysis, control, financing, and administration services to manage risks. It serves its clients in various sectors, including news and entertainment, recreation, technology, resort and commercial rental property, manufacturing, construction, and transportation. The company was incorporated in 2000 and is based in Montgomery, Alabama. 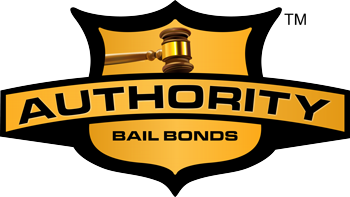 Our goal is to secure your freedom from jail, and we handle each case respectfully with complete discretion. No third party needs to know your business. Without your continued trust, we could not remain in business. We also understand that you may need help for a friend or relative. You want your loved one home as quickly as possible. Whether the charge is for a felony or a misdemeanor, we are never judgmental. Things happen. The imperative issue is educating you on the bond process and getting everyone home safely. Spectrum is a suite of advanced broadband services offered by Charter Communications, Inc., the second largest cable operator in the United States. Spectrum services include: Spectrum TV®, Spectrum Internet®, Spectrum Voice®, and Spectrum Mobile™. Spectrum Business® similarly provides scalable, and cost-effective broadband communications solutions to small and medium sized business organizations, including Internet access, business telephone, and TV services while Spectrum Enterprise is a national provider of scalable, fiber-based technology solutions. Our commitment to serving customers and exceeding their expectations is the bedrock of Charter’s business strategy and it’s the philosophy that guides our more than 95,000 employees. More information about Spectrum can be found at www.spectrum.com. For over 30 years, Gulf States Distributors has focused on ONE objective – Provide quality law enforcement at competitive prices. What sets us apart from the rest is our commitment to customer service. Testimony to our quality service is 4 out 5 customers are REPEAT customers. MAX was founded in 1955. Over the past six decades, we’ve evolved into a stable, growing, full-service financial institution committed to making money management easier, smarter, and more affordable for our residents and businesses. Beyond our sales and service teams, Montgomery Subaru is committed to serving the Montgomery, AL community through the Subaru Love Promise commitment. We have partnerships with several charitable organizations, such as Meals on Wheels and the Montgomery Humane Society, as a way to give back to the community in which we do business. We are happy to continue our commitment by serving on the Board of Directors of Central Alabama CrimeStoppers and being a proud financial sponsor. For 40 years we’ve had a simple philosophy: just do what’s right. And that starts every time we sit down with a family – like yours – to educate them about how money works and to offer products and services to help them meet their goals. Primerica helps people learn how to make their money work for them using simple financial concepts. The wealthy have used these principles for decades to achieve success, yet these concepts aren’t taught in schools. Primerica bridges that education gap, empowering the families we serve to make better financial choices and to use the products and services we offer to reach their goals. We take great pride in being a company dedicated to bringing common sense solutions to families from all walks of life. We’re a Main Street Company for Main Street North America. Let us show you how we can help your family. 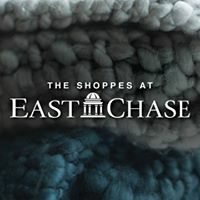 The Shoppes at EastChase is conveniently located on the eastside of Montgomery at the intersection of Interstate 85 and Taylor Road. WCOV seeks to serve the public interest by providing a healthy working environment for our WORKERS, providing fast, accurate service to our CLIENTS, serving OTHERS in our community, and giving our VIEWERS a rewarding entertainment experience. Goodwyn Mills and Cawood, Inc. (GMC) is one of the region's largest privately-held architecture and engineering firms, with more than 375 employees. We are a regional firm with national experience located in offices throughout the Southeastern United States. While our company has evolved tremendously since its launch in 1947, our founding principles of integrity and quality remain a vital part of our daily operations. Maynard Cooper & Gale is a nationally recognized law firm with more than 250 lawyers. Headquartered in Birmingham, Alabama, the firm has offices in New York and San Francisco, as well as three additional offices throughout Alabama located in Huntsville, Mobile and Montgomery. Our record and reputation confirm that we deliver desired results for our clients. We solve tough, complex legal problems for many of the world’s leading companies, including over 60 listed on the Fortune 500 with 32 of those in the top 100. We make it our priority to fully understand each client’s business and the climate in which it operates so that we can help them navigate challenges and prepare for what lies ahead. Our keen knowledge of the vast industries and dynamic legal environment equips us to provide paramount service with seamless attention to detail. One of the most popular sites on the Trail, Capitol Hill, in Prattville, continues to get praises from golfers and golf writers alike. Golf Magazinecalled the Judge course one of the 10 public courses in America worthy of hosting the U.S. Open and the Zagat Survey of America's Top Golf Coursesranked it among the top 50 courses in America. The Senator course was named among the Top 10 New Courses in the nation by Golf Magazine and is the host course for the Guardian Championship. Located in Prattville, approximately 13 miles north of Alabama's state capital, Capitol Hill features three 18-hole championship courses. With more than 1,500 acres of golf and nature, the pure magnitude of this facility is amazing and allows each course to be drastically different from the others. IPic-Gold Class Entertainment LLC owns and operates theatres. 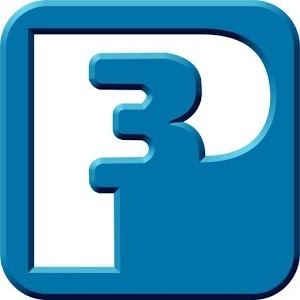 The Company distributes motion pictures, shows, and television programs. IPic-Gold Class Entertainment serves clients in the United States. CNHI is a leading provider of local news and information, offering a wide array of print and digital products in more than 130 communities in 22 states. Based in Montgomery, Alabama, CNHI is a Raycom Media company. For more information about CNHI, please visit www.cnhi.com. The Next Step in the Evolution of Law Enforcement and secure web applications.